A former UConn start-up company that improves the reliability of power cable systems has moved into a larger facility and will expand its operations in Connecticut. IMCORP, which got its start at the University of Connecticut and has received support from UConn’s Technology Incubation Program, is a leading provider of underground power cable reliability enhancement solutions. The company had outgrown its space in Storrs, and moved in June into a leased facility at 50 Utopia Road in Manchester. The new site will house the company’s headquarters, production operation, and research and development center. A European office is located in Belgium. 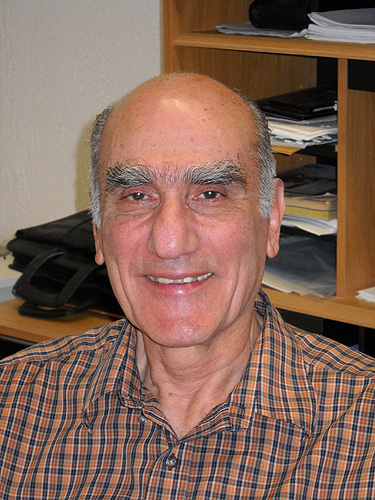 IMCORP was founded on the basis of technology developed at the University of Connecticut Institute of Materials Science by professor emeritus of electrical and systems engineering Matthew Mashikian. The technology, patented by Mashikian, accurately pinpoints the location of weak spots in underground cable, facilitating targeted repair and reducing the costs. It also provides diagnostic information that predicts future cable performance, improving the reliability of the cable. Incorporated in 1995, the company has been located at the University’s Depot Campus and joined the Technology Incubation Program when it was formed some years later. The program supports UConn start-ups and those from outside the University that can benefit from a University relationship. The company operates under license from UConn and pays royalties to the University. IMCORP was listed in 2009 in Inc. magazine as an Inc. 5000 company, in recognition of its significant business growth. Between 2005 and 2008, its revenue grew from $1.9 million to $5.3 million. Its major clients are wind farm plants and the utility industry; it also has industrial and government clients. The company is expected to create 25 more positions in the next three years, bringing its workforce total to 50. Gov. M. Jodi Rell says the fact that IMCORP started in Connecticut and has made the decision to grow here is great news for the state.